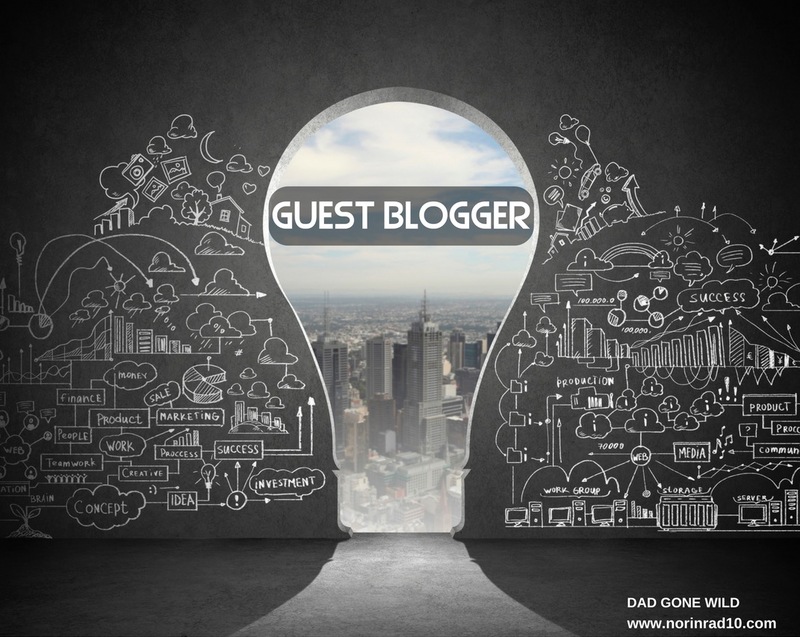 Time now for another guest blogger post. I must reiterate that I consider myself blessed and am honored that professional educators feel comfortable using this blog as a forum to share their thoughts and perceptions. Thank you Mary Jo Cramb. In a couple groups of women that I belong to, the issue of where we’re sending kids to school has come up. There’s a lot of anxiety about it because we all want to do what’s best for our kids, but our choices are limited by our finances and sometimes by school districts. Some of us also have concern for social and racial justice and how that is reflected in our schools, and want to make choices for our own children that contribute to a more just school system. I feel I have a somewhat unique perspective on this since I’m a teacher in the public schools as well as a parent. What my position gives me more than anything is perspective, which keeps me from doing too much hand-wringing on my own children’s behalf, even though I am sometimes an anxious person by nature. My surprisingly chill perspective comes mostly from a recognition of my privilege. My kids are little white boys with two married, employed, home-owning, college-educated parents. They have so much privilege. Every statistic there is says they will be just fine. My students have very few of these advantages, and I see every day that they are people with intelligence, integrity, humor, and optimism. Accepting my students for who they are helps me to accept that my children will be ok, even if they don’t get every single advantage I had. In fact, it will be a good thing for my boys to learn alongside children who are different from them in many ways–that is one advantage they will have that I did not, attending parochial schools in a lily-white suburb. Actually, growing up in a less homogeneous community than I did will give them an important set of skills and dispositions that will help them in an increasingly diverse world. Hopefully, they’ll grow up in a country where their privileges–their skin color and their parents’ status–matter less and less, while their skills and work ethic matter more and more. Given all that, our current plan is to enroll our kids in the neighborhood public schools. Our kids are four and one, schools can change quickly, and I can’t predict the future, so I’m not promising now that my kids will eventually graduate from their zoned public schools. But I am saying that this will be our first choice, one we will only deviate from for very compelling reasons. Too many other families don’t even give public schools this much of a chance, scared by reputation and rumors into opting for private, charter, and magnet schools before investigating the neighborhood public schools for themselves. Sometimes during these conversations among parents, even after I say something about how my privileged kids will be ok and how diversity is good, the other moms continue their handwringing. Why? Sometimes it’s because their children have challenges mine do not, because they have less privilege than I do, or because they are afraid that even the privilege they have will not be enough to position their children favorably in a rapidly changing world. These fears are understandable. But sadly, I’m also afraid that some of their anxiety is because of implicit bias that these good-hearted women don’t want to recognize within themselves. This is what’s usually buried under the surface of talk about “good schools”: so often, white parents define “good schools” as schools full of white kids. This long article by Nikole Hannah-Jones about the history of school segregation in Tuskaloosa, Alabama is very relevant and comprehensive. The same writer also wrote about her own choice for her daughter’s schooling. Liberal parents sometimes struggle when it feels like they have to choose between what’s best for their own kids in the short term and what’s best for the system as a whole in the long run. But I like the point Hannah-Jones makes in this interview with NPR: her child is no better or more deserving than any other child, so it’s wrong to say that a school isn’t good enough for her child, but fine for other kids. In a way, insisting on one’s own children’s right to attend “better” schools is a selfish choice if it results in the deterioration of schools that other, less fortunate children depend on. Jose Luis Vilson wrote a similar essay about his own family’s choices. My particular situation isn’t the same as these writers’, but I found their stories compelling and persuasive. I wish our school system in Nashville didn’t have big pockets of de facto segregation–that might be my #1 wish as both a parent and a teacher, surpassing even my desire for higher teacher pay and better family policies. There are schools in our district that are over 90% African American that gain a reputation for being ‘bad schools,’ even ‘dropout factories,’ while the expensive private school down the road (founded soon after enforcement of Brown vs Board, not coincidentally) is over 90% white and has ‘Blue Ribbon’ status. We have been debating charter schools in Nashville very intensely for years now, and segregation is one aspect of the issue that has certainly come up. One argument is that charter schools intensify segregation in the district as a whole, and the response is that the racial makeup of charter schools is not significantly different from that of the other nearby zoned schools. Meticulous number-crunching is necessary to try to adjudicate that debate. Personally, I think that whole argument is more pertinent to magnet schools than to charter schools, and they’re certainly not going anywhere. But the effect of any school or type of school on the district’s racial makeup seems a moot point when the fact is that the system as a whole is deeply segregated, and most individual schools reflect that. Of course, the main root cause of school segregation is residential segregation, the legacy of housing discrimination and redlining. One reason people don’t like busing plans is because some kids have to have a long commute to school because they live so far away from their classmates who look different from them. That’s why mixed-race and mixed-income neighborhoods are so crucial–they make desegregated schools happen more conveniently, organically, and peacefully, without tortured debates or elaborate busing plans. In our rapidly gentrifying city, as new developments are popping up all over, attention will need to be paid to ensuring the availability of affordable housing. I’m afraid that left to its own devices, the “free market” will intensify residential segregation and displace many longtime residents, especially people of color and the poor, with a side effect of intensifying segregation in schools. The education activist groups I’m in haven’t been talking much about desegregation and busing, though I know they care deeply about racial justice. I know and trust these people, and I feel confident that the reason this issue hasn’t come up is that we are fighting a war on multiple fronts. We’re teachers trying to protect our jobs, we’re working to elect a school board that hasn’t been bought and paid for by out-of-state special interests, we’re trying to keep charter schools from taking students away, and we’re fighting to keep standardized testing from taking over every minute of every school day. Also, I know I’m a relative newcomer to town (I moved here in 2008), and there may be a fraught history here that I’m unaware of. Desegregation is politically tricky, so it’s something we haven’t fought for. But I would love to see that change. It would be great if one of our school board members proposed a trip to Louisville, Kentucky to see how school integration works there. Louisville is a great success story of racial integration. I’m sure that it would be difficult logistically and politically, but it’s certainly possible to create a similar plan here in Nashville. Thank you for sharing this perspective. We need to hear more teacher voices and I appreciate any opportunity to do so. I agree with you 100% that integrated schools are how we begin to close the achievement gap and really address long-standing inequities. I’m a parent that chose our neighborhood school for elementary and then a charter school for middle school. Both of the schools we chose are over 25% minority and over 25% white. However, that isn’t the case for all the traditional schools in our cluster. One of my frustrations in some of the discussions about equitable schools is that folks often start with an assumption that traditional neighborhood schools are more integrated and equitable than “choice” schools like magnets and charters. This is not necessarily the case. For example, look at what happened in the Hillsboro Cluster when Waverly Belmont opened. When MNPS made new zoning recommendations “designed to alleviate overcrowding without having negative impacts to student diversity,” some Green Hills parents exercised their influence to have these recommended zones modified so fewer of them would be zoned for the new school. At the public meeting, many of those parents argued passionately that they had spent a lot of money on buying homes in the neighborhood so their kids could go to Julia Green or Percy Priest, and it wasn’t fair for them to now be rezoned to Waverly Belmont. Yet, the justification for opening Waverly Belmont was overcrowding at those two schools. Why does Green Hills practically get exclusive access to a school like Glendale? Does Nashville’s only Spanish Immersion school actually enroll any native Spanish speaking students? I taught Spanish for many years, and I love that Nashville has a Spanish Immersion school. However, as a former language teacher, not having more native speaking students at the school seems like such a lost opportunity to create an authentic meaningful language learning environment for the kids. Especially considering that so many Spanish speakers live just across I-65. I suppose the school was not intended to be bilingual, but why not? In my opinion, part of what we have to do as a community is address how our existing system creates or perpetuates inequities. And we need to get everyone at the table and think very openly, intentionally and inclusively about new school and/or school system models that are truly designed to serve all kids. Maybe I’m being unrealistic, but that’s what I hope will happen. I’d love to be a part of it. Again, thank you for bringing your perspective to this forum. Thank you for being a teacher and for all you do both inside and outside the classroom for your community. Thanks to TC for creating a platform for these discussions. I should also add that I’m not blaming parents for choosing neighborhoods with schools in mind. I’m trying to point out that there are many perspectives and they are all valid. I live in one of the wealthiest school clusters in the district and am privileged to do so. I chose this area to be close to work and to my son’s school. Not everybody has that flexibility. My hope is we can move these discussions forward and find ways to make positive changes that get schools and teachers the resources they need. You posting your thoughts here is a part of that positive change. Thanks. PS – thanks for sharing the Atlantic piece about Louisville, Kentucky – really great article! I wrote this piece several months ago, but I wanted to post a link to this article about the state of our schools in Nashville and some of the history behind why they’re this way. It explains the background of this article and the root causes of the problem–one main one is white flight.